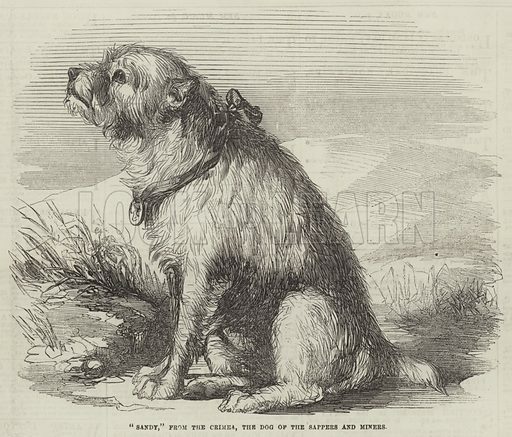 "Sandy," from the Crimea, the Dog of the Sappers and Miners. Illustration for The Illustrated London News, 23 February 1856. Available worldwide for immediate download up to 4,330 x 3,696 pixels.